The Ergobaby Baby Carrier Raincover allows you to brave the wet weather with your Ergobaby Carrier. It can easily be stored away and carried with you to ensure that you are always prepared on your adventures. Ergobaby Adapt Baby Carrier is easy to use and can be used without an infant insert! 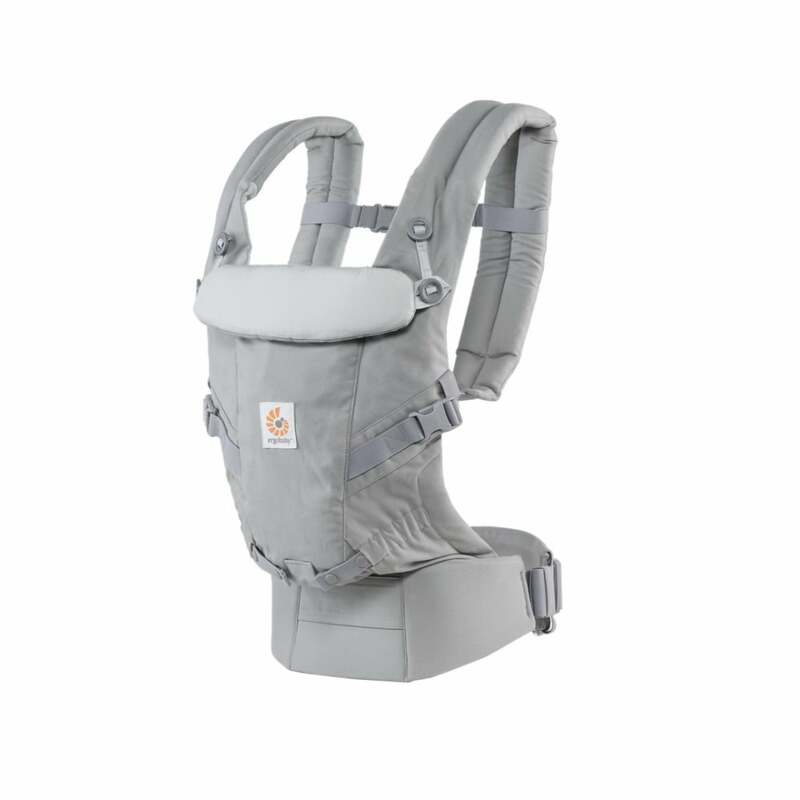 It carries your baby from newborn to toddler (3.2kg - 20kg*) in a choice of 3 ergonomic positions. The Ergobaby Adapt Baby Carrier gradually grows with your baby, keeping them comfortable as well as offering convenience to parents! Why should I choose the Ergobaby Adapt Baby Carrier? The Ergobaby Adapt Baby Carrier is ergonomically designed with a seat that gradually adjusts to your growing baby from newborn to toddler (3.2kg - 20kg*). This is without the need for an infant insert! This baby carrier offers three different ergonomic carrying positions, which is brilliant for parents who want to switch it up a bit. You can choose from front-inward, hip carrying, or back carrying! 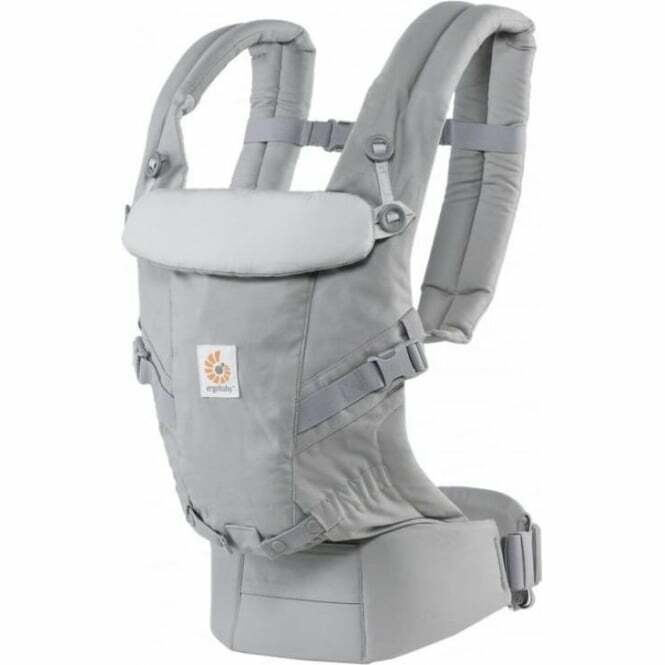 The Adapt Baby Carrier from Ergobaby features extra padded, crossable shoulder straps. These straps help to provide convenience and comfort for all shapes and sizes of parents! Additionally, the lumbar support waist belt adds to the comfort of this baby carrier. This is because it distributes baby's weight between hips and shoulders. This means that it's fantastic for any parent with an achy back! In addition to this, your little one will be extra comfortable thanks to the cushioned and foldable head and neck support. Last but not least, this baby carrier features a tuck-away hood that provides sun protection of UPF 50+! It can also be used for that bit of privacy when nursing. Plus, if there's any spillages, then fear not. This baby carrier is completely machine washable for your convenience. What are the specifications for the Ergobaby Adapt Baby Carrier? *Ergobaby advises that packaging may still show a maximum capacity of 15kg but products have been thoroughly tested up to 20kg. Is there a review for the Ergobaby Adapt Baby Carrier? Yes, click here to see a full review to help you make your choice. Do I get a warranty with the Ergobaby Adapt Baby Carrier? ErgoPromise 10-Year Guarantee Included. If you find a manufacturing or material defect, Ergobaby will replace your carrier or part at no charge. Terms and Conditions apply, to learn more or make a claim please visit ergobaby.co.uk/warranty. This does not affect your statutory rights. This applies to UK Mainland only. Showing our 2 Ergobaby Adapt Baby Carrier reviews with an average rating of Excellent. Would you like to write a review? Your Review - Really happy with this carrier. Sturdy and well made. Easy to put on after a couple of times, especially if you have some help with the buckle in the back. The baby looks comfortable in it and not too warm, even in hot days. Your Review - Fantastic for my ten week old who isn't too fond of her pram. Makes outings easier as I have hands free. Weight of baby is distributed evenly so I hardly feel I'm carrying her. Very good product. Wish it was shower proof or the waterproof cover wasn't so expensive, considering the cost of this product.